Exploring one of the 6 areas of the Potion Vendor world. ILM recently had a contest on Artstation. 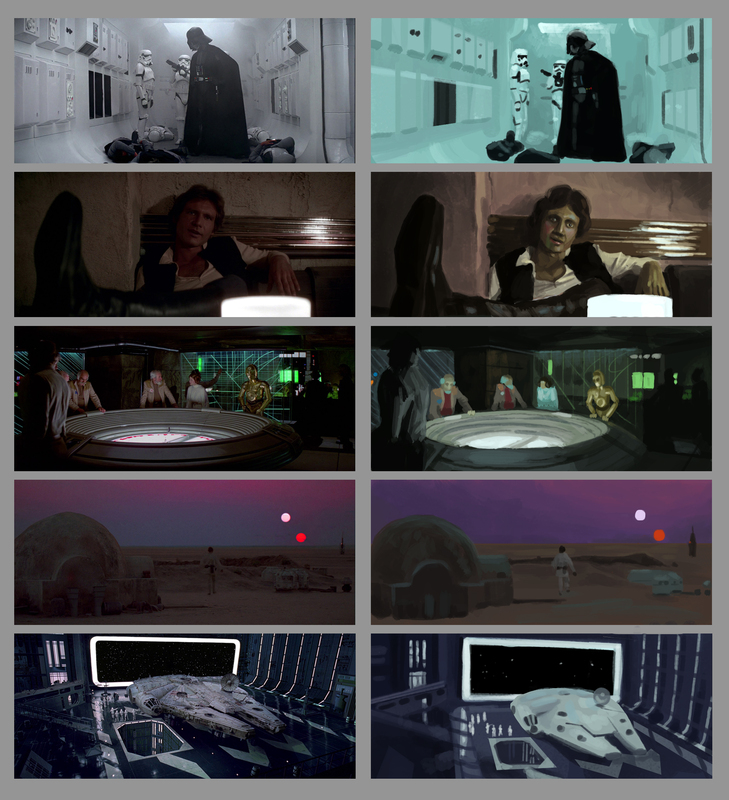 They were looking for keyshots of potential moments in the Star Wars 4-6 universe. Unfortunately, I didn’t make in to round two. Vader’s invasion of Hoth goes well. Han and Leia are forced to hide. Palpatine kills Vader and begins to torture Luke. The ghost of Obi Wan and Yoda materialize to help protect him. First of some film studies that I’ll be doing. 3) No color picking allowed.